Life in Luleå and Swedish Lapland is can be challenging ! It ismade comfortable by learning how to dress and behave in the Sub-arctic climate and environment. Our guide will take you on a 3-hour journey into the forests near to Brändön Lodge and lead you through an adventurous and educational excursion. 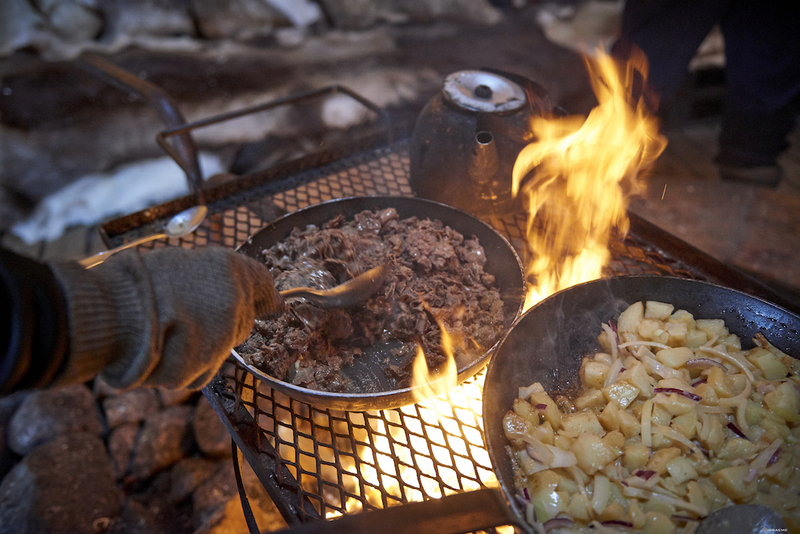 You will learn how to make a fire arctic style, how to make tea and coffee over your open fire and learn about the flora and fauna of Swedish Lapland. At lunch time you will take a break and together we will make a typical outdoor wilderness lunch. Here, on the reindeer pelts you will enjoy your meal around the fire and then relax. In Swedish Lapland it is important to relax, discuss, enjoy and appreciate our special environment. This is a perfect introduction to your Swedish Lapland adventure. No equipment of your own or previous experience is needed.